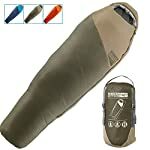 This Winner Outfitters mummy Sleeping Bag is designed for person using in cabins and camping tents outdoor in temperate conditions. 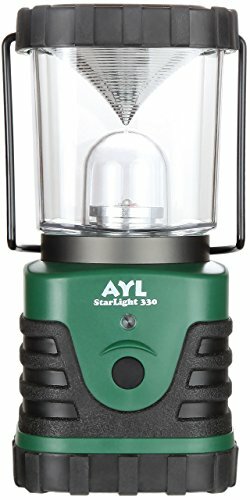 It is a must-have item for camping or hiking. 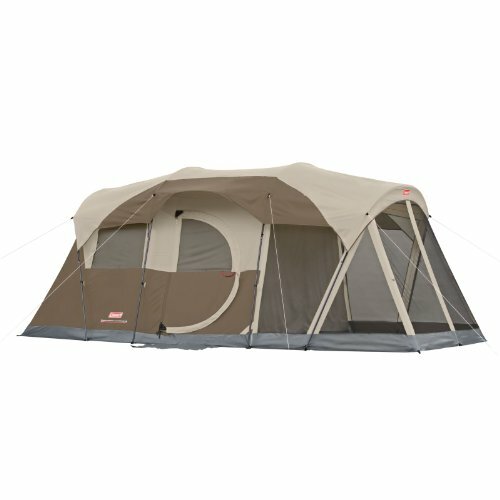 It’s designed to let your sleep comfortably and keep you warm from top to bottom. So we use special quilting construction to eliminates potential cold spots. 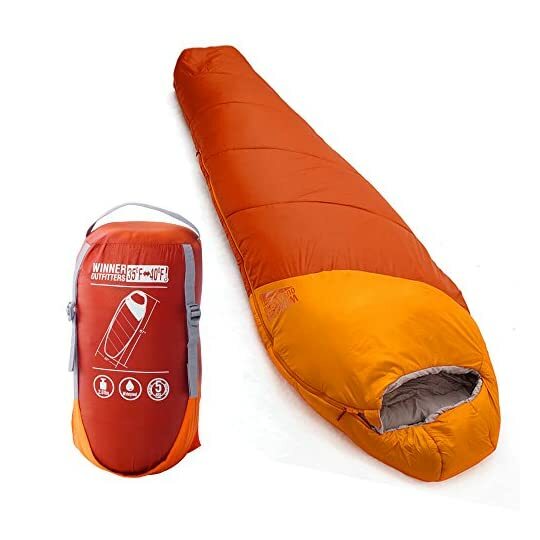 The full-length draft tube blocks heat loss through the zipper and prevent cold entering, and a box-shaped foot gives you extra room to move your feet. When you’re done, it’s easy to put it away in the stuff sack. 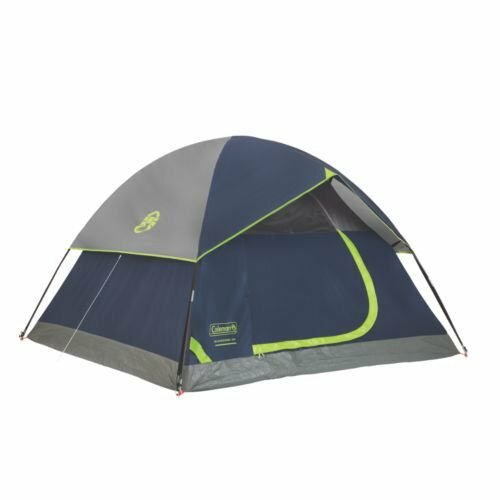 It’s perfect for camping, hicking and backpacking. 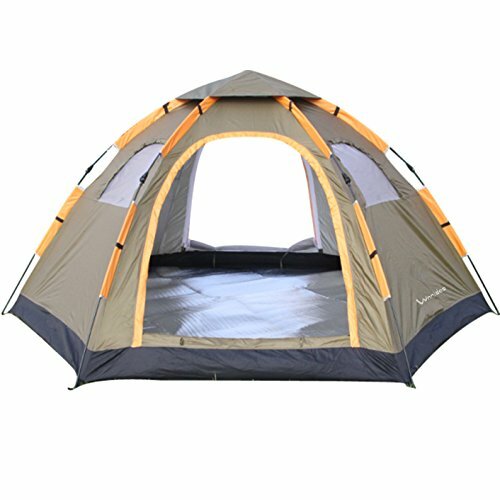 1.350T Polyester rip-stop cover(it’s water resistant) and 350T polyester lining(you feel confortable when you lie in it). 2.Box-shaped foot for added room to move. 3.SBS zipper and drawstring, it’s snag-free opening and closing. 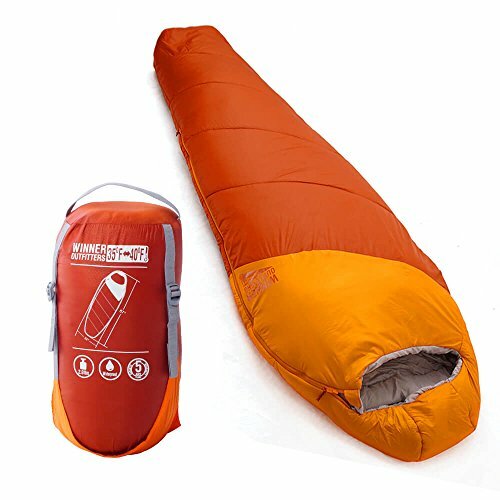 5.Unzip the bottom for extra ventilation on warmer nights. 6.Offer Stuff sack for quick and easy storage. Way Too Easy Money Back Promise Our promise is that our product is just as great, better or the best out there and we back it with our crazy promise. If you are are unsatisfied with our sleeping bag, you could contact us and tell us your reason, then we will refund your money within 5 hours and you can keep the sleeping bag.